Jessica and Andrew came all the way from Canada to get Maui'd on the beach. They contacted their Maui Wedding Planners, Marry Me Maui and we hooked them up with everything they needed for a memorable wedding. Our minister Dennis was there to perform a beautiful ceremony. All of our ministers are experienced and love what they do. Charles Nahale performed on his ukulele and gave us all chicken skin. 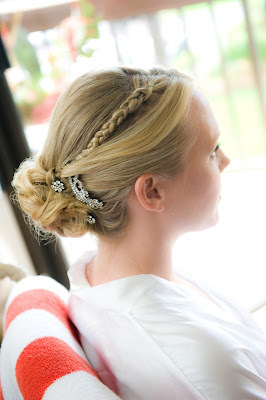 Andrea took care of the bride's makeup and hair styling in the room so Jessica could relax with her family while she was being treated to a professional styling. 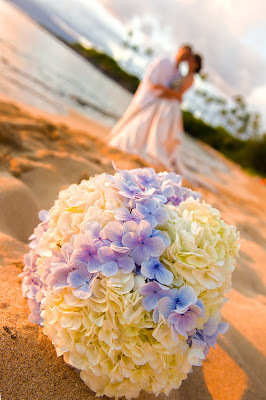 Maui Wedding Photographer Joe D'Alessandro provided the photography while Maui herself provided an ever changing palette of colors for the background.